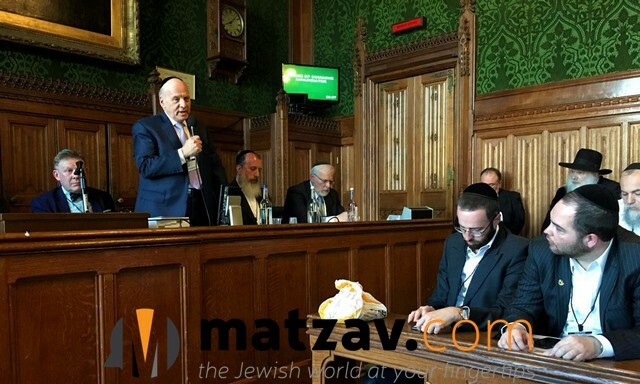 On a day when the UK was preoccupied with the change of its national leadership, an extraordinary event took place on July 14th in the House of Commons to officially launch the United Kingdom Committee for the Preservation of Har Hazeisim. The host of the event was MP Matthew Offord, who represents the Jewish community of Hendon but the overflow crowd included representatives from all over Europe, the United States and Canada. 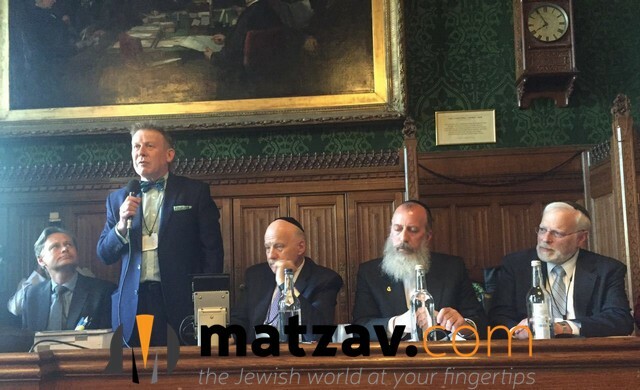 It was said Chairman Filip Slipaczek, an historic event as something so hallowed as Har Hazeisim was being celebrated in the British Parliament. To underscore the interest of the Royal family in Har Hazeisim, Prince Charles sent a special emissary to read a letter from him greeting the event. Also in attendance was Princess Katarina of Yugoslavia, the granddaughter of Princess Alice of Battenberg, the mother of Prince Phillip and the mother-in-law of Queen Elizabeth. In documents recently discovered, it was found that Princess Alice had hidden three Jewish families in 1943 when she was in Vienna. After her death it was found that Princess Alice left a will asking to be buried on Har Hazeisim and she is in fact interred in thegarden of Gethsemane, the small Catholic cemetery on Har Hazeisim. Prince Philip is said to have made at least one private visit to the grave of his mother. Included in the crowd of dignitaries were many prominent rabbonim and Jewish leaders from throughout Europe. They included Dayan Yonasan Abraham, Rav Simcha Steinberger, Rav Moshe Israelov, the head of the Bukharian community in Vienna, Rav Avraham Pinter, one of the senior rabbonim in London, Rav Dovid Rose of the Berlin Yeshiva, Rav Herschel Gluk OBE, Head of the Jewish cemeteries in Europe, Rabbi Melvin Hartog, head of the Chevra Kadisha for United Synogagues, Dayan Elimelech Vanzetta who holds a position with CER, Rav Rafael Godlewsky, and Rabbi Grunfeld head of Seed program. A Letter was also read from Israel’s Ambassador Mark Regev. The Ambassador from Azerbaijanwas also there. Other diplomats were there from Poland as well as representatives of the Polish community in Britain. Rabbi Yosef Deutsch, the First Deputy Mayor of Yerushalayim and the guest of the event, delivered an emotional speech, in which he described how the tragedies of Jewish history passed through Har Hazeisim. The Deputy Mayor made the trip to show his support for the world-wide efforts of Jews to preserve the 3000-yearold cemetery that contains 150,000 Jewish neshomos. The keynote address was delivered by Menachem Lubinsky, the co-chairman of the ICPHH who described the history of abuse and neglect and the dramatic changes that have taken place there in recent months. “Jews are returning en mass to the yahrzeit of their rebbes and simply to visit the gravesites of their loved ones,” said Mr. Lubinsky. He added that “we have a long way to go but we will succeed.” Other speakers included Dayan Abraham, Stephen Pack, the President of the United Synagogue, representative broad consensus of British Jewry about the importance of Har Hazeisim, and Dr. Paul Rosenstock, a member of the ICPHH Executive Committee in New York. Rabbi Jonathan Sigal, the executive director of the ICPHH in Europe, played a big role in organizing the historic event. They need to build a safe road or overpass that can assure safe passage to this cemetery. Also high steel fences with trained guard dogs at night. 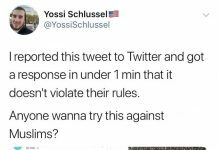 Also build housing complexes for Jews around the cemetery area. The Arab school where rocks are thrown from should be uprooted as a terrorist site. But nothing will happen unless chareidim take over the government.